Former UFC light heavyweight champion Mauricio Rua could put himself in a really good position at 205 pounds if he’s able to defeat Anthony Smith tomorrow (Sun., July 22, 2018) at UFC Fight Night 134 in Hamburg, Germany. If “Shogun” is able to take care of business opposite Smith he will extend his current win streak to four, which is the best stretch of fights the Brazilian has had since 2007 as a member of PRIDE. 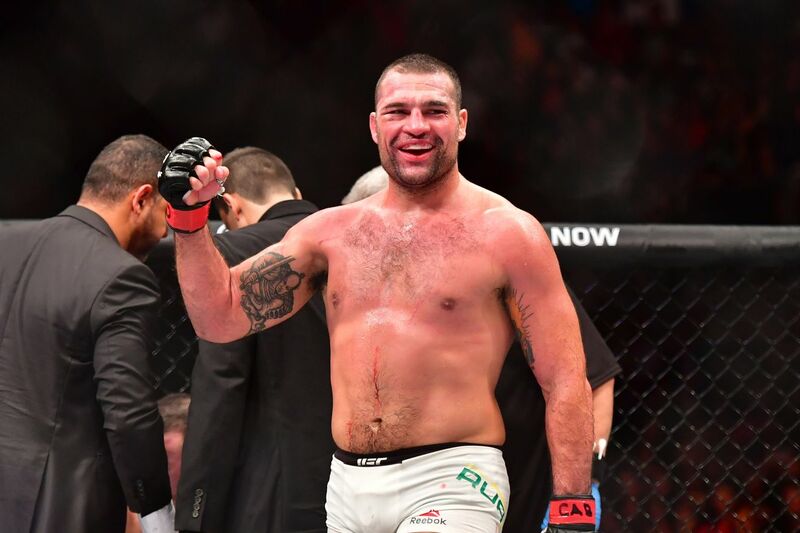 Better yet, a decisive win over “Lionheart” could land Rua on the doorstep of a title shot considering current UFC light heavyweight champion Daniel Cormier recently called him out. Many fight fans would not have expected Rua to be in line for another shot at UFC gold, but four wins in a row would go a long way in the thin 205-pound class, especially if Cormier’s superfight with Brock Lesnar is on hold until next year. At 36 years of age, “Shogun” may not get another chance to contend for a world title under UFC rule. A victory over Smith at UFC Hamburg may not guarantee “Shogun” a shot a Cormier’s title, but the Brazilian legend is going to try to control everything in his power and let the rest play out. MMAmania.com will deliver LIVE round-by-round, blow-by-blow coverage of the entire UFC Fight Night 134 fight card, starting with the Fight Pass “Prelims” undercard bout at 10:30 a.m. ET, followed by the FOX Sports 1 “Prelims” undercard bouts at 12 p.m. ET, before the main card start time at 2 p.m. ET, also on FOX Sports 1.